Plumes were more than just personal decorations, often indicating things like rank, command, and position. This particular Plume For Corinthian Helmet was made to fit the style and shape of a classic Corinthian Helmet, just like the Greeks favored. In fact, plumes like this were generally worn by notable and important figures on the battlefield, allowing anyone and everyone to locate people like generals and commanders with remarkable ease and swiftness. 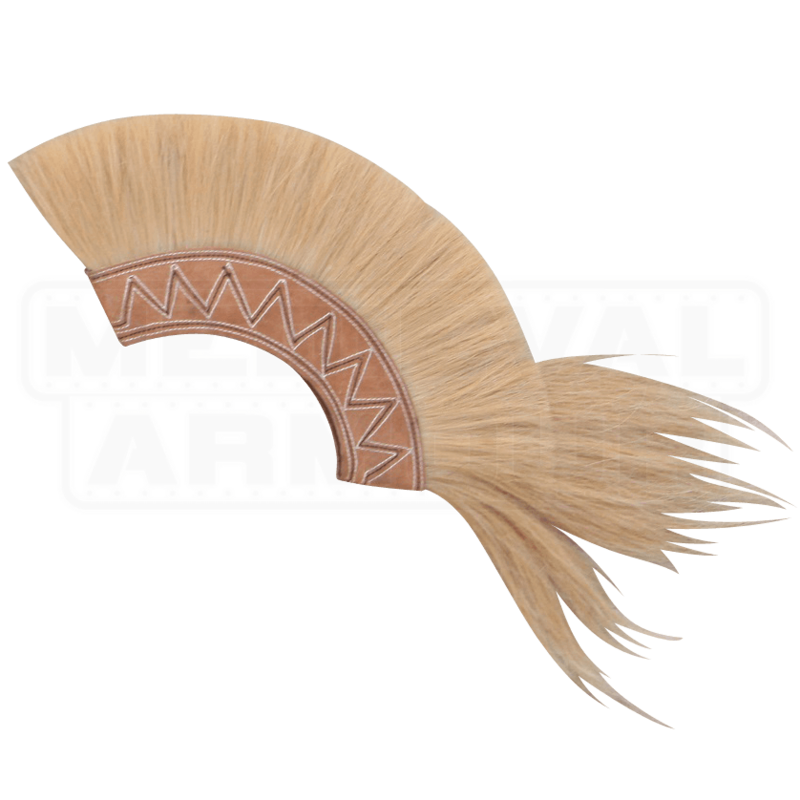 This plume consists of a natural horsehair mohawk crest that is left a natural yellow-blond color, while being decoratively set in an elegant band that is designed to sit flush against the crown of a Corinthian helm. 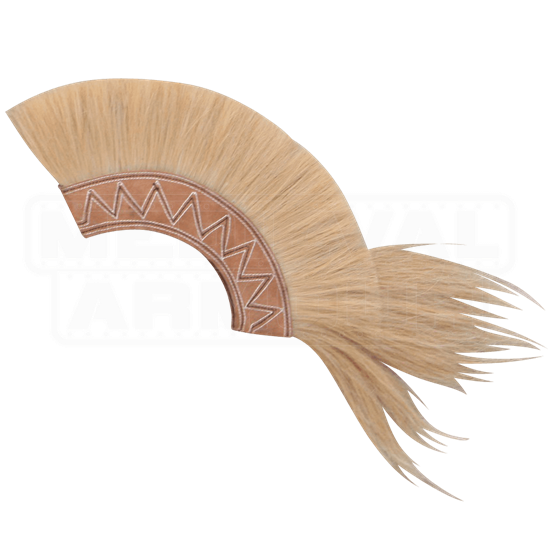 Unlike most plumes, this plume is designed to set horizontally on any Corinthian helmet that features the brackets capable of accommodating the necessary plume holders. One thing is for certain about this plume, though, and that is that mounting this Plume for Corinthian Helmet atop your own Corinthian helmet is a sure-fire way to enhance your personal look, while also adding a touch of color and style to any authentic looking Grecian warrior attire.